Every time I see Ida, she’s wearing an apron. She uses a traditional Mennonite apron because she is a traditional Mennonite woman. But the aprons she wears are the kind that any woman could live in. There’s no strangling tie at the back of the neck. There are pockets. And most importantly, they come in pretty fabrics that make a day’s work feel like a pleasure. Over the years, I’ve bought several aprons from Ida, and they’ve become my favorites for cooking and entertaining. They offer full coverage, and the lovely prints hide the inevitable messiness that happens whenever I’m near a kitchen. Or a garden! There was just one problem with those aprons: The fabrics were cotton, but not organic cotton. 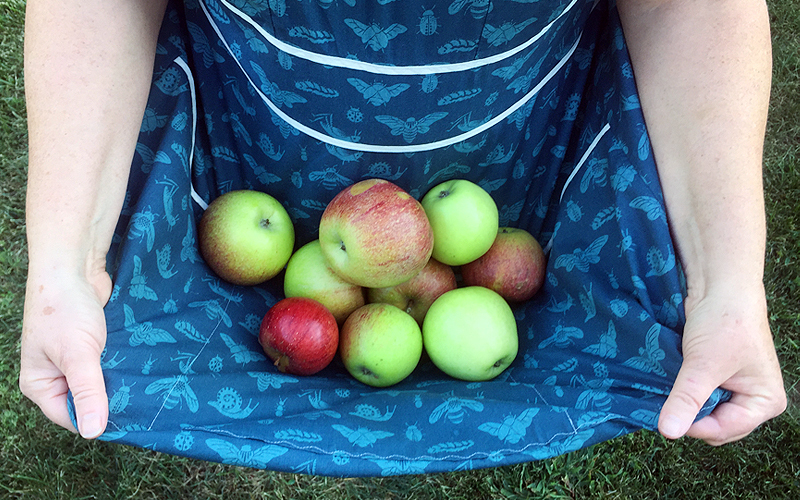 Over the years, Ida and I worked together on aprons of different fabrics and designs, but ultimately, we decided on the perfect organic cotton and went back to the traditional Mennonite style—simply because it works. Hundreds of years of testing by women cooking, farming, and gardening can’t be wrong! 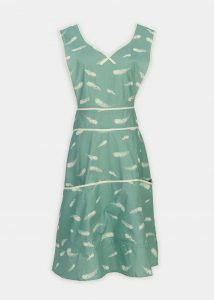 I’m happy to say that Ida’s organic aprons are now available on Rodales.com. 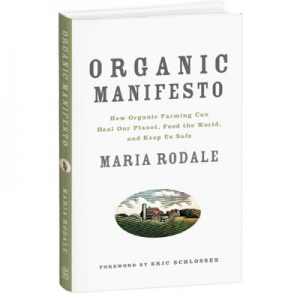 Each is literally handmade by Ida and her sisters in Maxatawny, Pennsylvania…right next door to the Rodale Institute. You see, Ida and her husband, James, are our neighbors. Life is so interesting. People are so interesting. And Ida’s aprons are so useful. When you buy one of her aprons, you’re supporting a big family (they have five kids!) that’s making the world a better place, one organic apron at a time. This is SO COOL! 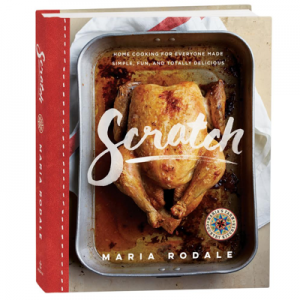 Major props to you, Maria and the entire Rodales.com team. It’s not easy to keep an ecommerce site up, but you guys do AND your picky (in the best possible way) about what you offer. And now, you’re working with Ida not only to support her but to offer a really awesome product on a much larger scale. I’m super impressed and proud. I have one of these aprons and I LOVE it. Not only does it do everything you mention–provide full coverage, offer big nice pockets that I love, feel great on my skin (hello, organic cotton) but it feels almost magical. When I put that apron on I feel really connected, rooted, to Ida and the idea of being dedicated to making good food from simple ingredients.